Fire pits are all the rage these days, and for good reason. Nothing is as cozy and cheerful as sitting around a crackling fire. 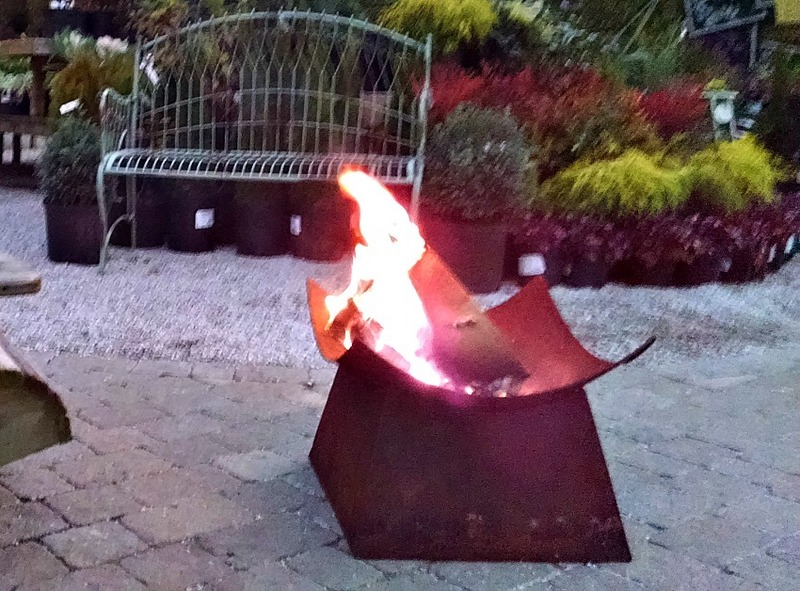 It can be simple and inexpensive to have your own fire pit, especially with the variety of portable ones on the market today. Even installing your own can be a fairly easy DIY project, with a range of plans being easily accessible online. Position some comfortable seating around the fire and have additional light sources around the fire pit area to create a more welcoming atmosphere. A fire pit is a wonderful way to enrich the mood of a party—they are dramatic and enhance the ambiance with a cheerful warmth that people will gravitate to. The nice thing is that they expand the use of your outdoor areas because you can use them at any time of the year. Especially when it’s chilly, they provide a way to continue enjoying the outdoors. In the warmer months, you can add sage to the fire to keep mosquitos and bugs away so you can sit outside in peace. Nothing beats a sitting around the fire with a glass of wine and good friends or family, so stop by to check out our fire pit selection. We have a cool new portable fire pit that is a show stopper!